Why I read, why I write: Kurt Vonnegut edition. Kurt Vonnegut is such a boss. Here are his eight tips of writing short stories, a list that includes “be a sadist” and “every character should want something.” But the above quote is my favorite. Write to please one person. When I’m teaching writing to kids, I call this their “dream reader” or “fantasy reader.” Who is a person who you admire, who you most want to read your work? When I write, I think about a professor I studied with at Bard. I write for him, because writing for everyone is exhausting and impossible. A fools errand, just like trying to be liked by every person at the party. 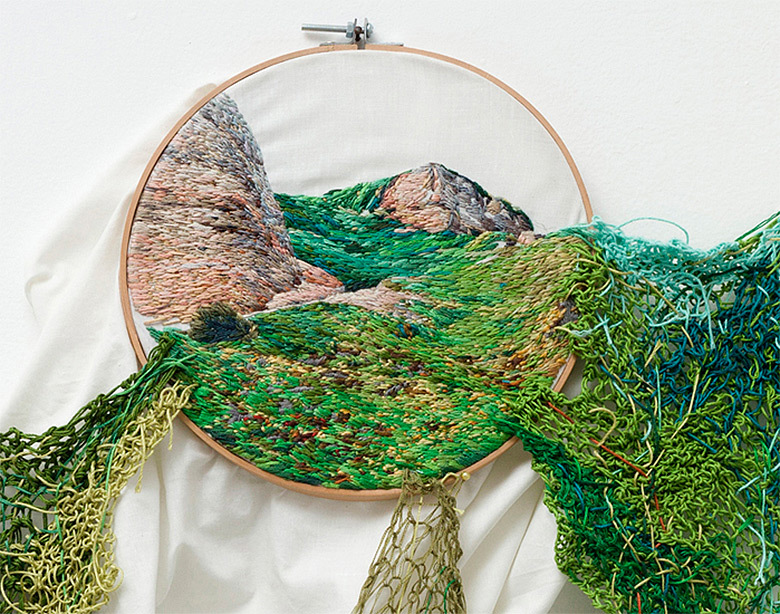 Image by Ana Teresa Barboza, who creates amazing embroideries of plants and bodies and other natural things. Check out her website here. < Previous Be the Leslie. Next > Two nice things: Celeste Keller painting & Mary Oliver poem. Love this! Thanks for sharing. If you’re ever interested in some other great book reviews or literary musings, be sure to follow! Thanks!!! I am going to check it out right now! Thank you so much for commenting, and I’m excited to read your reviews.